Is Life Coaching the Right Choice For Me? Blog written by Crossroads Certified Life Coach Jena Hernandez. What the difference between counseling and coaching? How do I know if life coaching is the right choice for me? Life coaching is about moving the client forward. Much of the focus is on where they want to be in life and how to work to set goals, manage personal change and create results. 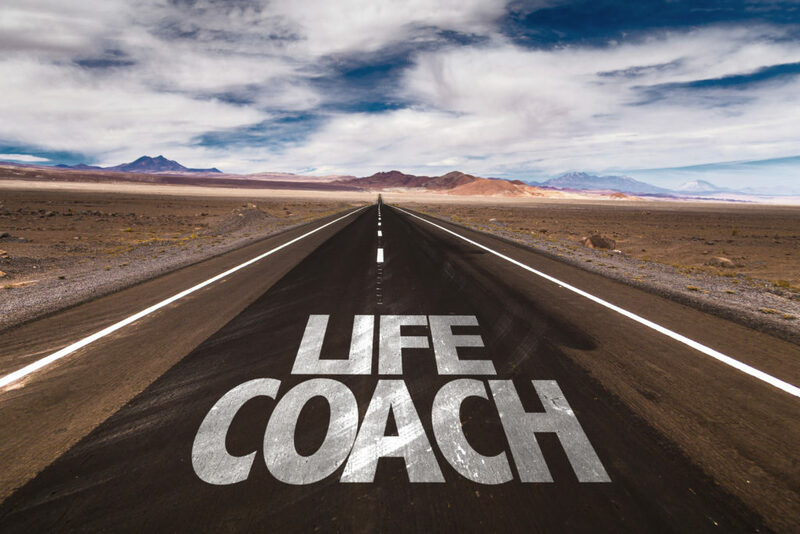 Life coaching uses tools, skills and powerful questions to help the client identify areas one wants to grow and develop in order to make progress toward the larger identified goals. This provides the opportunity for the client to take time to reflect and find the answers within. Coaches work with individuals who are ready to make changes or who are looking to find more balance in life in order to help them develop personal growth and confidence in who they are and what they want to achieve. Coaches meet the client in the now and stays present and/or future focused. The aim of the life coach is to help the client gain forward movement with the things they wish to accomplish in life. Creating action strategies for achieving specific goals in one’s life, personal or professional. The coaching relationship is focused on action, accountability and follow through. Coaching, which is not advice, therapy, or counseling, may address specific personal projects, business goals, or general conditions in the client’s life or profession. Other coaching services could include value clarification, brainstorming, identifying plans of action, asking clarifying questions, making empowering requests, and ensuring the client’s follow through. – A life coach provides a safe, non-judgmental space for clients to identify how they would like to balance or improve their life by creating goals that are positive and life affirming. – A life coach helps the client break down these goals into smaller steps that help them make progress from where they are now to where they would like to be. – A life coach honors the client for where they are in their journey. The coach provides encouragement while looking toward the future to help the client explore their hopes and what they envision their life to be like where they are living their life to the fullest potential. – A life coach listens and asks powerful questions in order for the client to dig deep within and gain a better understanding of themselves and what they want out of life. – A life coach offers support, accountability and compassionately challenges clients to look through a new perspective or step outside their comfort zone. – Life Coaching is not counseling, if the client needs to explore areas of their past to facilitate healing counseling should be the place to start and then discuss transition into life coaching with one’s counselor when the time is right. – Life Coaching is not for the coach to give advice or tell the client what to do with their life. It is about empowering clients to create their own journey and meanings. The Life coach is there to support and act as an encourager, cheerleader, facilitator and coach throughout this process. – Even though life coaches care deeply, they do not offer the same type of support as a friend. A life coach remains impartial to the client and their circumstances while still wanting the very best for them and what they want. This creates the opportunity for accountability during the times needed most. Comparison and Contrasting of Coaching and Counseling. Coaching is focused on problem solving while counseling tends to focus on issue resolution. Coaching is about creating and counseling is about resolving. Coaching is action oriented while a part of counseling is on increasing awareness. Coaching is present-future focused while counseling has more of a past-present focus. Coaching focuses on the how while counseling is about the why. Coaching deals with life dynamics; a part of counseling is about letting go and resolving the past. Coaching is about finding sustainable life flow while counseling is about overcoming obstacles. Coaching focuses on life design and counseling focuses on issue resolution. Coaching is often about setting specific, measurable, and achievable goals focused on personal growth and to achieve success whereas counseling is often about the healing process. Coaching is not for individuals dealing with issues such as severe anxiety, depression, trauma or relational distress; counseling is focused on deep healing in relationships and freedom from psychological ailments. If you have more questions and would like to learn more call Crossroads at 623-680-3486 to schedule a complementary 20 minute phone consultation with Certified Life Coach Jena Hernandez. Or you can click here to read more about life coaching and how it can help you grow and to experience greater success in your life.